More often than not, the number a player wears has some meaning. For Gonzaga (DC) point guard Chris Lykes, zero is everything. At 5-foot-8, Lykes is almost always the smallest guy on the court, but it would be hard to find a tougher player in the country. The current Miami Hurricanes floor general is fearless, a leader, and can boost his teammates and electrify the crowd with his abilities to score all over the court. This season, the No. 22 Eagles had their work cut out for them after losing Lykes to graduation. 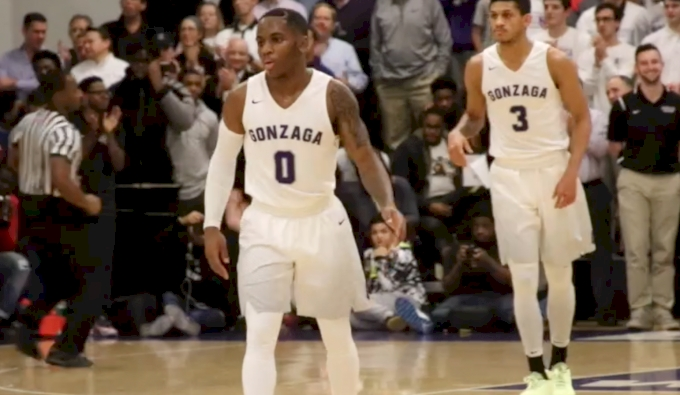 In the upcoming WCAC tournament, Gonzaga will look to defend its 2017 title as a pivotal No. 4 seed. The Eagles open the tourney against No. 5 St. John's in the quarterfinals on Saturday. The winner advances to Sunday's semifinals, with a chance to play for the conference title on Monday at American University. Watch the WCAC semifinals (Feb. 25) and finals (Feb. 26) live on FloHoops.